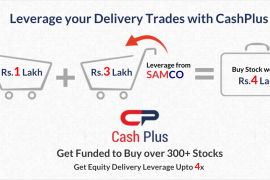 Simplifying the most mystique Rejections – SAMCO NEST RMS Rejections! At times, your orders may get rejected due to some reason & the reason shown by the system reads like gibberish. We understand that it can be frustrating & you can potentially lose out on a trade while on the phone with our customer care team. So to help you understand why your order got rejected and how to modify your order for the trade to go through we are introducing – Rejections simplified! It is our endeavour to help you self-serve yourself whenever you get a rejection while putting trades in our system. Instead of wasting your time on the phone, you can just check the reason of rejection in the below table, and rectify the same. b RMS: Blocked for DA1234 MIS Expiry Date : 29/02/2015 blocktype: NON-SQROFF MIS is available only for current month expiry and not for later months. i The trading system is not available for trading Market is closed. Kindly place order during market hours. a RMS: Order Value limit including square of order Current:1000, limitset:10 for entity a/c – DA1234 across exchange across segment across product Kindly put the order value within the limit set. Contact Technical Support. d Security is not allowed to trade in this market Market is closed. Kindly put order when market is open. 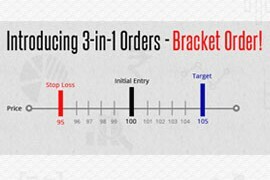 l BO: Bracket order for the scrip already exists You can trade in a scrip or contract only once at a time. Kindly exit or delete the current BO to put a new trade. o RMS:Rule: Assigned basket for entity -DA1234 across exchange across segment across product Bracket order is not available for this script. Kindly check whether the scrip is available in BO Calculator. You can also Download a PDF of the list of reasons so that you do not need to waste time in accessing the blog!